Written by raitank. Posted on 2017/06/13. Filed under BMCC, VIDEO. 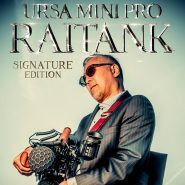 Tagged raitank signature edition, URSA Mini Pro. 16 Comments.